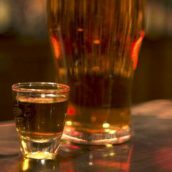 For many, Jameson is their first experience of Irish whiskey. The classic Original is the bestselling whiskey from the country (try it with ginger ale). 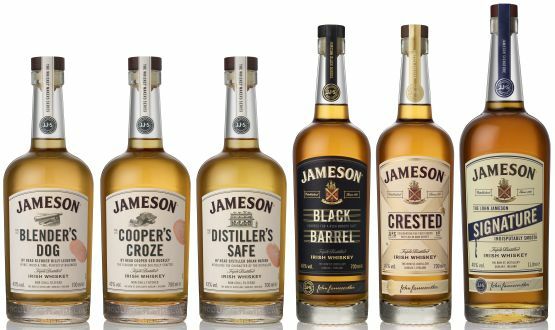 But this week, the brand announced it is launching The Whiskey Makers series, a new range, as well as a new look to its existing heritage whiskeys. I was lucky enough to be given a sneak preview of the newly extended family, in advance of the releases due in the summer. 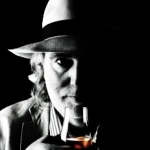 The Cooper’s Croze – head cooper Ger Buckley’s choice focuses on the effect of maturation. 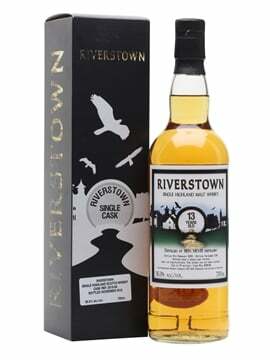 Aged in a combination of virgin-American-oak barrels, bourbon barrels and sherry butts, this has the distillery’s classic barley-sugar sweetness, with a whack of vanilla along with toffee and peaches from the bourbon casks, raisins from the sherry maturation and a toastiness given by the use of virgin oak. The Distiller’s Safe – chosen by head distiller Brian Nation, this is a spirit-led expression that highlights the purity of the distillery’s whiskey. 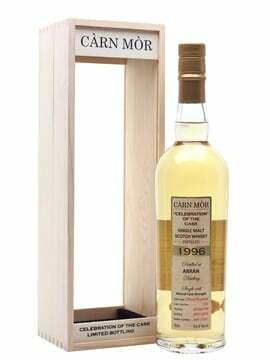 It is the lightest of the three, with a creamy texture, barley-sugar sweetness, and notes of apricot, cinnamon, melon and citrus zest. The Blender’s Dog – crafted by head blender Billy Leighton, this is the middle of the range, taking the elements of The Cooper’s Croze and The Distiller’s Safe. 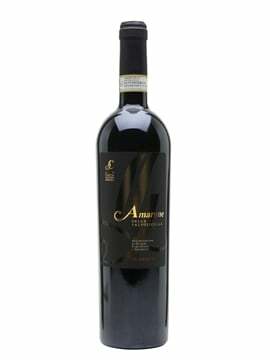 A medium-bodied blend, this combines lighter floral and malty notes with pepper spice, vanilla, dried fruit, raisins, sultanas and an underlying toastiness. 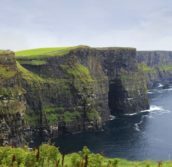 Crested – previously called Crested Ten and mainly sold in Ireland with small amounts in the UK and France, this is being released globally. 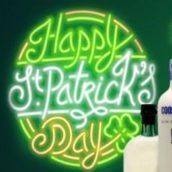 Prior to 1963, Jameson could be bottled by bonders and even publicans themselves. The distillery decided to take control of the process and released Crested Ten, so-called as it carried the Jameson crest and was originally a 10-year-old whiskey. It’s now aged for around seven years, contains more pot-still whiskey than grain and is predominantly aged in bourbon barrels. Rich and creamy with notes of nutmeg and marzipan. Black Barrel – the new name for Select Reserve Black Barrel, this uses some recharred casks in the mix, intensifying the classic American-oak notes of vanilla, butterscotch and coconut. This still contains some sherry-cask-aged whiskey, too, and is a blend of pot-still whiskey, with a complex grain whisky recipe that contains, maize, malted barley and unmalted barley. Signature – formerly known as Signature Reserve, this is a sweeter style of Jameson but one that’s true to the ‘signature’ style of the brand. American oak adds sweeter notes of heather honey and cedar while sherry casks add a dried-fruit character. The heritage whiskeys have proved popular within their limited markets and will soon be available worldwide, thanks in part to a doubling of Midleton distillery’s capacity in the past two years. The distillery is known for producing many varying styles of spirit and the new Whiskey Makers series showcases this, with the selection by the head blender, cooper and distiller adding a personal touch. My favourite was the rounded Blender’s Dog, but the spirit-led Distiller’s Safe and maturation-focused Cooper’s Choice are both excellent whiskeys that display their own character. 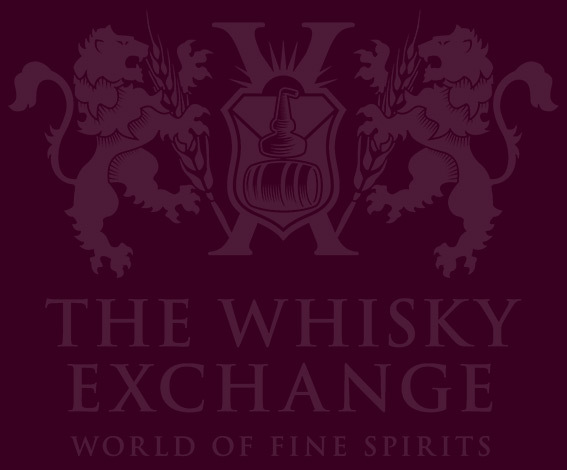 All the new releases should be launched this summer and will be available on The Whisky Exchange website. Just as the month of abstinence is upon us ….